Crypto markets had a rough day in Wednesday having shed of more than $4 billion dollars in less than 1 hour. The direct cause of this plunge is attributed to the US stocks markets rout that is affecting global stock markets. This is a clear indication that Crypto markets are connected to conventional markets more than it has been perceived. The US President, Donald Trump, has been rattling much of the world in much of what he is doing. He has been working hard to reorganize trade relations through launching trade wars, cutting taxes, and reducing Federal bureaucracy. This has led the US to be the fastest growing developed nation on earth with an average GDP growth of 4% since 2018. To avert inflationary pressures on the brink of higher than usual incomes in the US, the Federal Reserve raised the interest rates for three consecutive times much to the dislike of Donald Trump. He fears that the move could erode economic gains that have seen his approval rating cross the 50% mark according to Rasmussen and Washington Post polls, the highest also in the Western World. 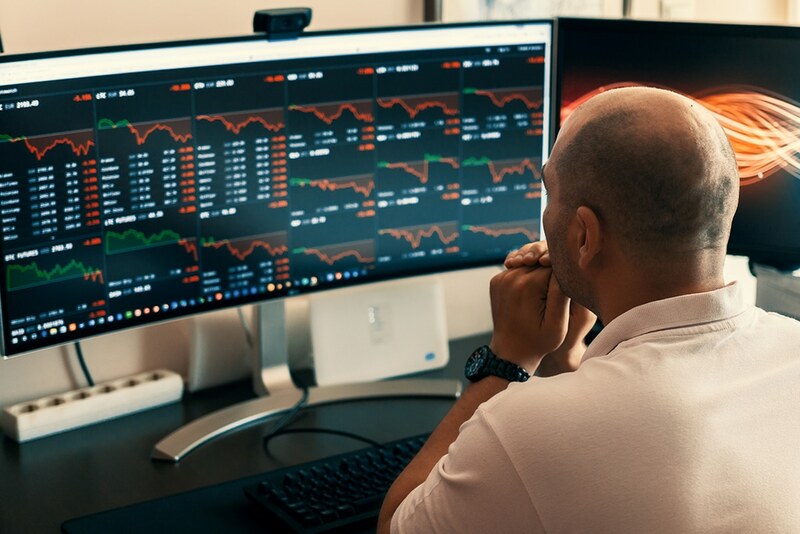 For this reason, the rates hikes and other factors such as the US-China trade wars triggered a stock sell-off in Wall Street where Dow Jones shed of 3% and Nasdaq lost 4%. 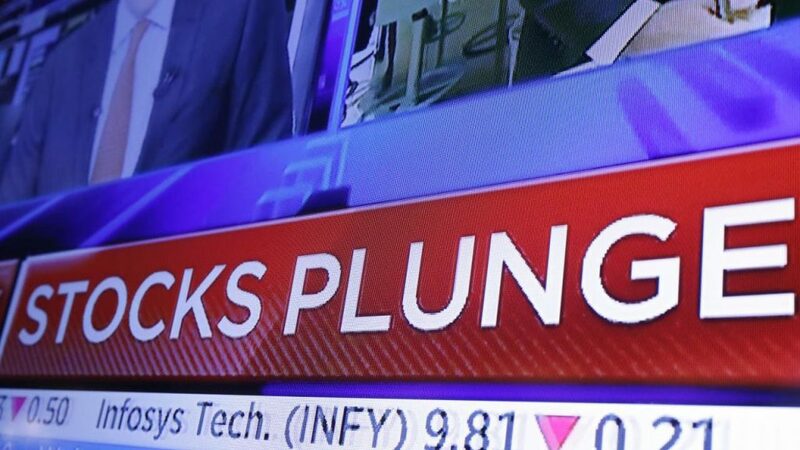 This triggered a ripple effect to other parts of the world with Bombay Stock Exchange shedding off $53.9 billion in 5 minutes, the Hong Kong Composite lost 5%, Japan’s Nikkei 225 lost 3.5%, etc. In Europe also, the same scenario was replicated with losses recorded in the London Stock Exchange, Milan Stock Exchange, the FTSE, and others. During a MAGA rally in Erie Pennsylvania, President Trump blamed the Feds for the effect as he spoke to tens of thousands of his cheering supporters. However, other experts such as Christine Lagarde of IMF are disputing Trump’s logic. She says that the widespread market slump is a result of a market correction following the exemplary US economic performance and the over-valued US stocks. However, the fact remains that there has been a sell-off in stocks leading to a stocks market slump. After the stock markets’ plunge, Crypto markets also experienced a slump. There was an overall loss of $13 billion market capitalization in less than one hour (between 04.09 GMT and 04.44 GMT). In specific terms, Bitcoin shed-off $239 that represented almost $4.2 billion in market capitalization or 4% of its total value. The price is hovering at $6, 278 which is triggering fears that it could drop below the $6, 203 2018 lowest closing point which was recorded in February 2018. Meanwhile, Ripple (XRP) dropped from $0.61 to about $0.4. Ethereum on the other hand also slumped by $30 per Crypto. This was replicated in almost all Cryptos on Coinmarket list. However, some experts are saying that the slump was a volatile reaction to IMF warning that Cryptos are creating vulnerabilities in the global financial systems. However, this statement could not lead to market shocks as the investors already have that perception. A logical conclusion to the slump is that stock markets are intertwined with Crypto markets. On the flip side, it is a good sign to Crypto investors.